2014/09/12 plagwitz	Enter your password to view comments. Here is an overview of learning materials (Creation service) related articles, per language, on this blog/CMS, including shortcut links that save you building the advanced-search URLS as described in the upper right corner here. 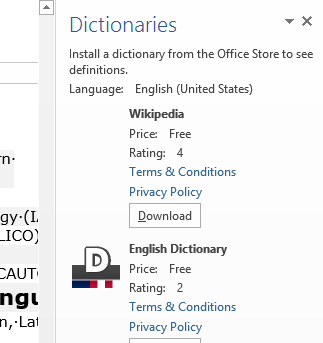 This platform needs a better search/sort/filter – Excel Web App to the rescue: Here tags and categories are sorted alphabetically, allowing for and-searches, while the Excel advanced filters enables more sophisticated or-Searches. No search can be better than the metadata inputted, to clean that up, authenticated users can click the edit- or (make shift) daylink. The LangLabEmailer helps integrating the digital audio lab (still widely operating based on files and network shares) into the departmental language teaching and learning process by automatically forwarding (audio, text) assessments and assignments collected in the digital audio lab to teachers and students via campus mail (using MS-Exchange automation). Easy on the Language Lab Manager who can "set up and forget": 1000s of assessment files will reach their originating students and teachers in near real time without you lifting a finger. To earn "extra credit", show your teachers how they can override the default LangLabEmailer behavior by adding “_noemailing” or “_nostudentemailing” to the folder name when saving their digital audio lab collections. Samples & questions at my IALLT 2013 session.